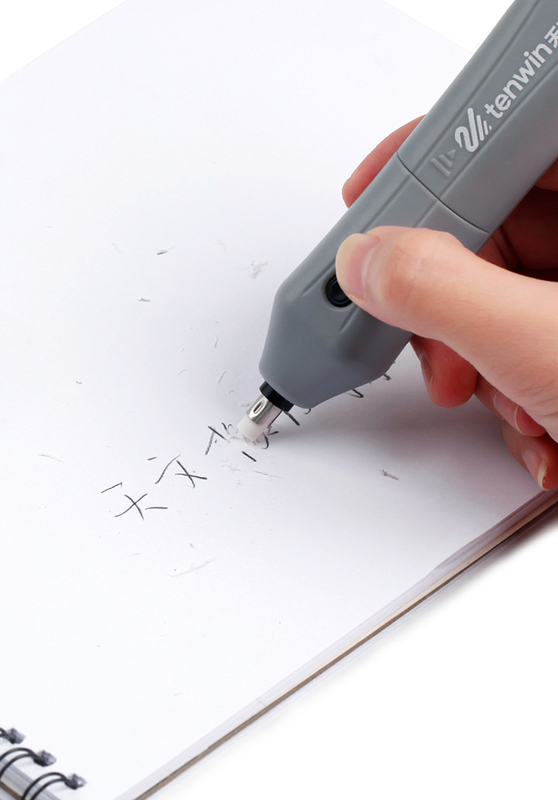 - Erases mistakes easily with a rotating action. 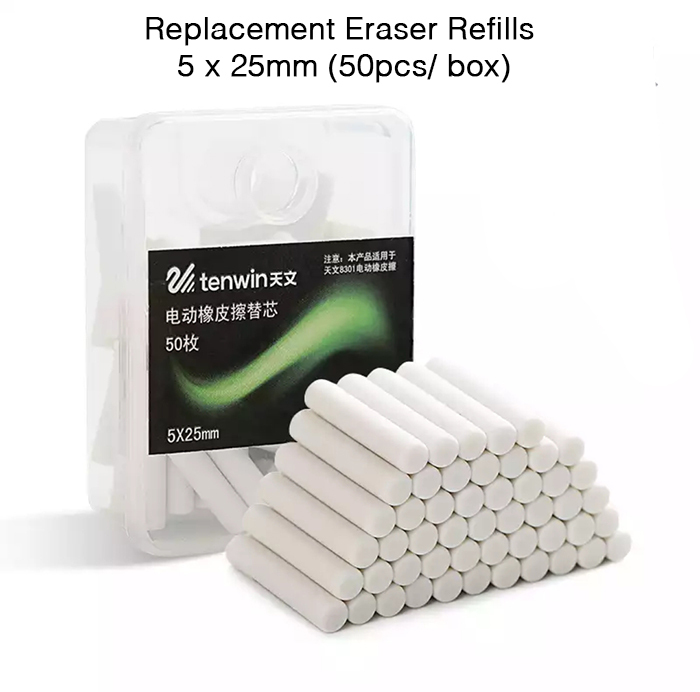 - Uses soft white eraser that erases well and does not tear up paper. 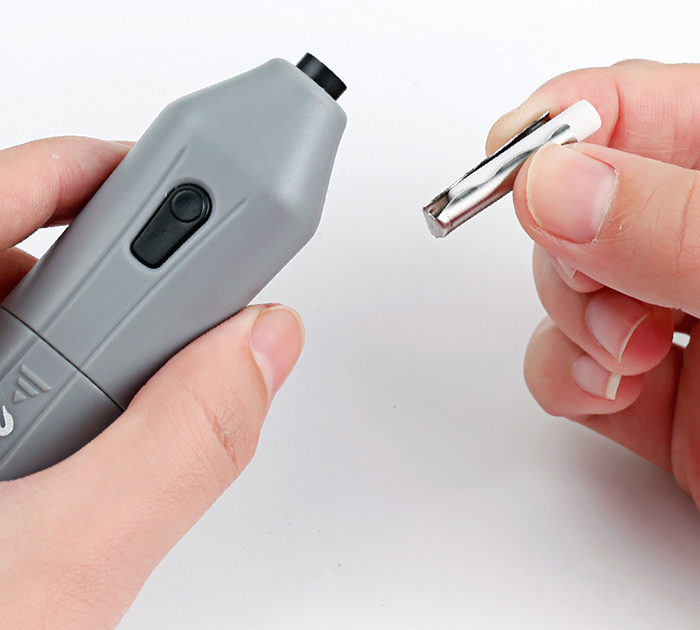 - One-button Operation -Simple push of the button and a light touch are all that's required to remove marks. 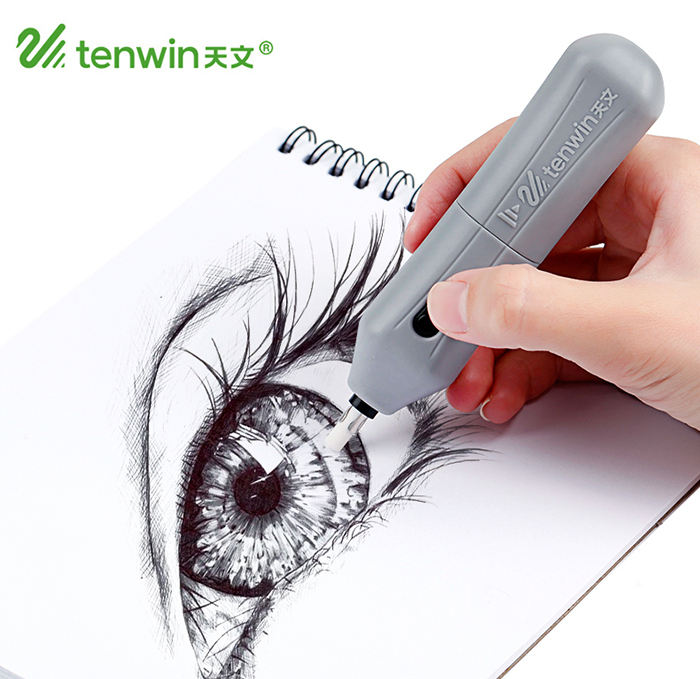 - This electrical eraser is used to amend animation, drawing, etc.. 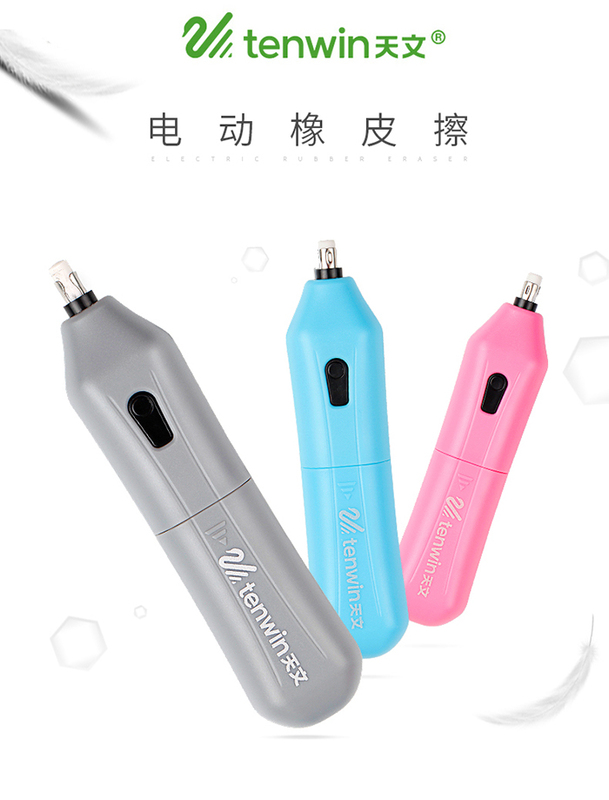 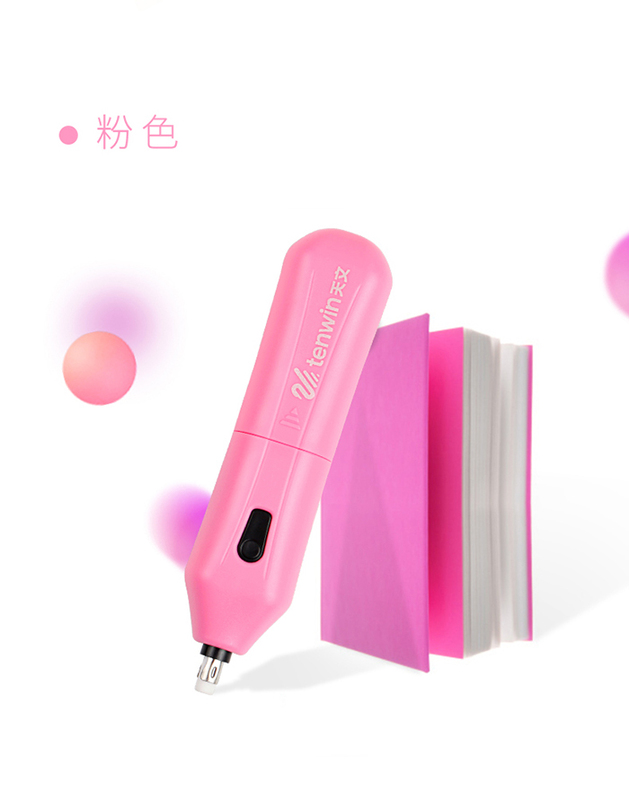 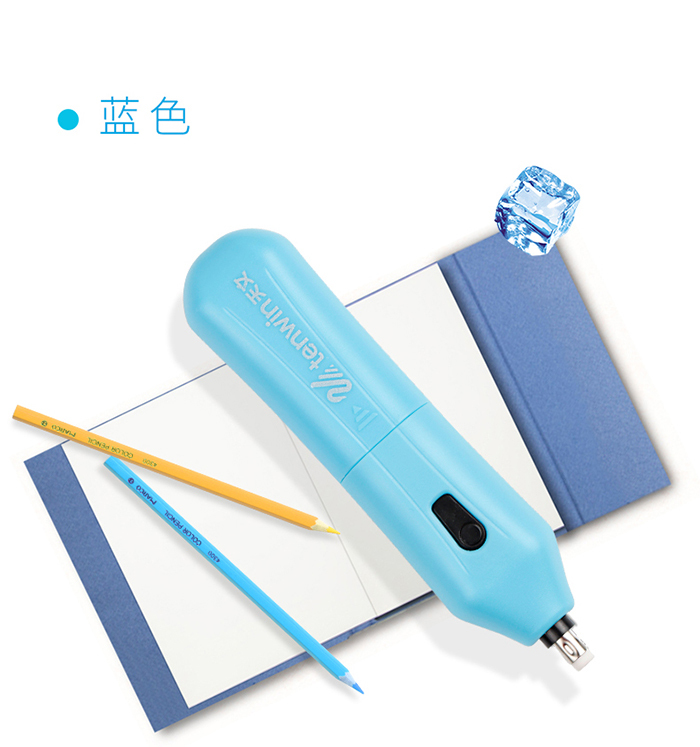 It is easy to use it to erase the homework. 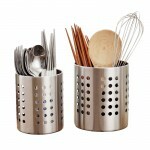 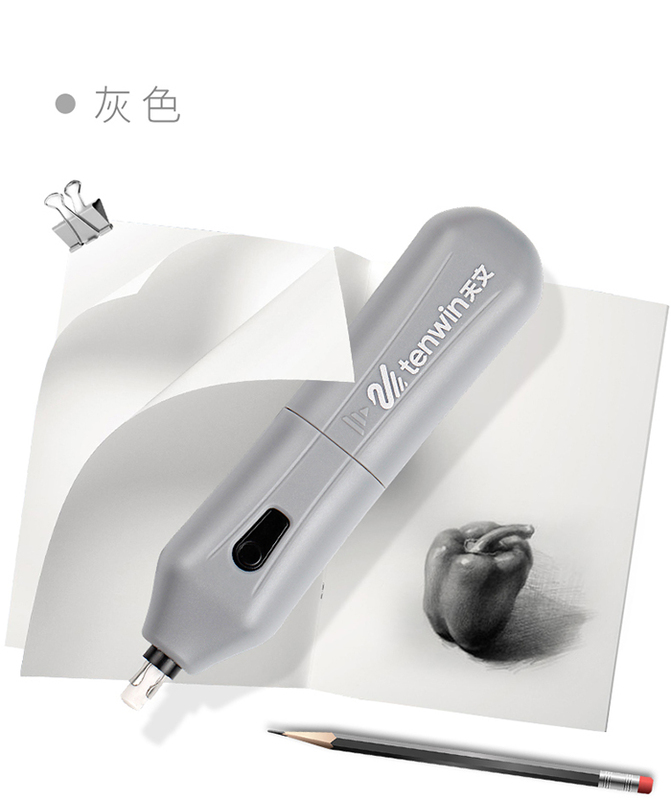 It can be used to erase the details in design, office or art design. 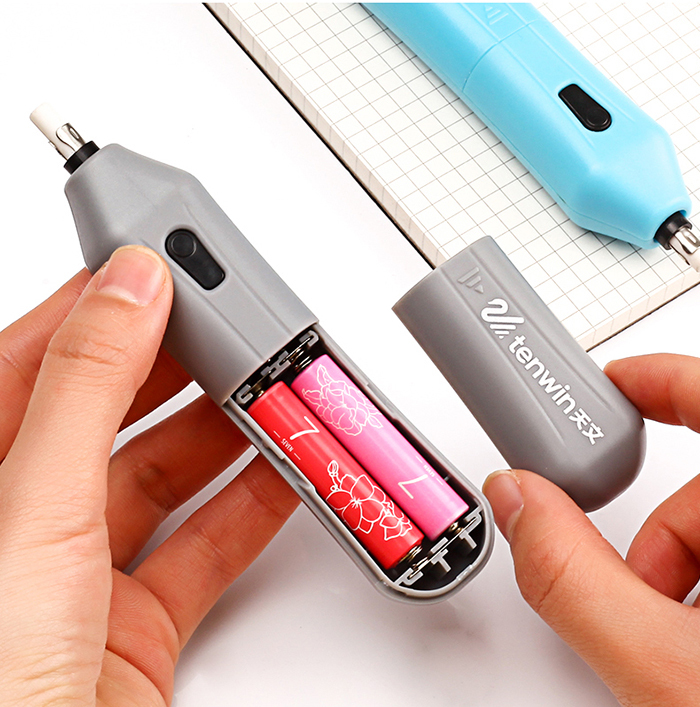 - The motors are newly designed. 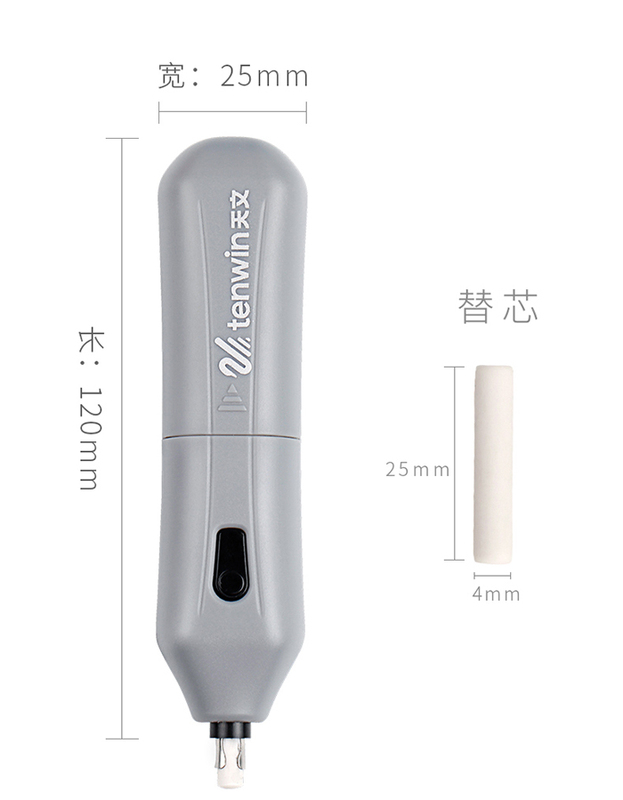 The low noise makes your life and working peacefully.